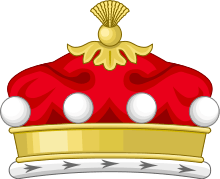 Baron Clifford of Chudleigh, of Chudleigh in the County of Devon, is a title in the Peerage of England. It was created in 1672 for Thomas Clifford. The title was created as "Clifford of Chudleigh" rather than simply "Clifford" to differentiate it from several other Clifford Baronies previously created for members of this ancient family, including the Barony of de Clifford (1299), which is extant but now held by a branch line of the Russell family, having inherited through several female lines. Baron Clifford of Chudleigh is the senior surviving male representative of the ancient Norman family which later took the name de Clifford which arrived in England during the Norman Conquest of 1066, feudal barons of Clifford, first seated in England at Clifford Castle in Herefordshire, created Baron de Clifford by writ in 1299. 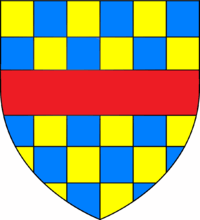 The de Clifford family was directly descended in the male line from Duke Richard I of Normandy (933-996), great-grandfather of William the Conqueror. The family seat is Ugbrooke Park, near Chudleigh, Devon. The heir apparent is the present holder's son Hon. Alexander Thomas Hugh Clifford (b. 1985). Clifford, Hugh (13th Baron Clifford of Chudleigh), The House of Clifford from Before the Conquest, Phillimore & Co, Chichester, 1987.